THE number of children aged six and under being prescribed anti-depressants has soared by almost 50 per cent since the federal government pledged to investigate the issue, new figures show. Federal health department data reveals prescribing rates of the controversial drugs have risen from 852 in 2007-08 to 1264 in 2009-10. But despite Health Minister Nicola Roxon ordering an investigation three years ago, a Freedom of Information request shows the government held just two meetings. Five deaths have also been linked to anti-depressants in children aged 10 to 19 since 2009, Therapeutic Goods Administration figures show. In children aged nine and under, 89 adverse reactions were linked to anti-depressants over the same period. The figures show Zoloft and Prozac were among the most prescribed in the youngest age group, as well as another used for chronic bed-wetting. Australian Childhood Foundation chief executive Dr Joe Tucci said he would have expected the government to act by now. "I cannot think of a good reason why any six-year-old, or younger, should be treated with antidepressants," he said. "I think it's gone up because medication is being used to treat the symptoms and not the cause." 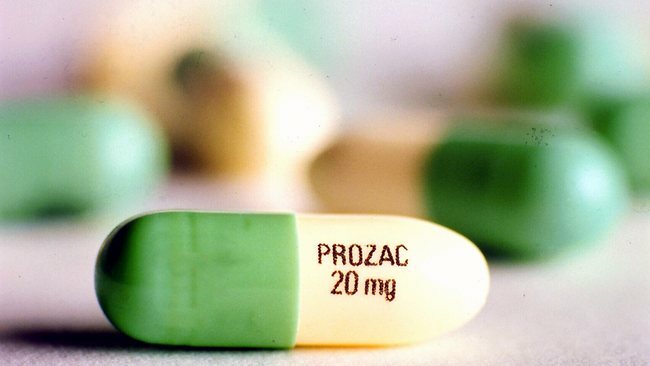 The Royal Australian and New Zealand College of Psychiatrists said it was alarming any anti-depressants were being prescribed for children and demanded answers. "I would be very alarmed if these figures were true as there is no indication for an anti-depressant medication given to any child under the age of six," Child and Adolescent Psychiatry Faculty chair Dr Phillip Brock said. "I have written to the government before asking if figures in this age group are valid. The fact we are still seeing this kind of data demands an answer." Australian Medical Association vice-president Dr Steve Hambleton said doctors were concerned about prescribing medication for young people but were having more success with certain anti-depressants. He had personally written scripts for two six-year-olds - and they had benefited. A Health Department spokeswoman said: "The management of a patient's medical condition, including the prescription of medicines, is a clinical decision between the clinician and patient or carer, taking regard of the patient's circumstances." Black Dog Institute director Professor Gordon Parker said investigation was needed.